Galina's teaching caters to her students' needs. Whether you aim to further your skills and knowledge of guitar in a relaxed, intuitive way, learning a program of your choice, or whether you hope to provide your child with guitar lessons that are attuned to their unique learning style, strengths and pace, Galina's teaching method will foster growth as a guitarist. 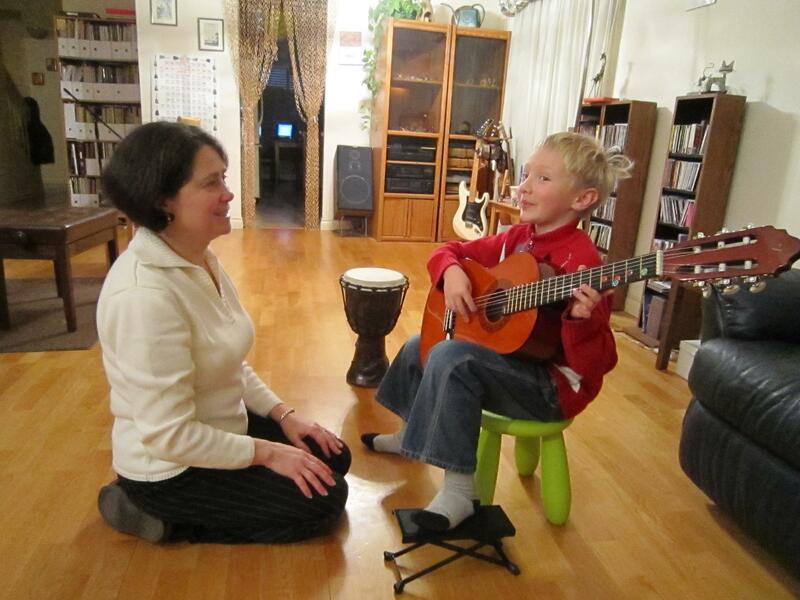 Along with offering instructions for any levels of guitarist Galina's guitar studio is specializing in Suzuki Method instructions for preschool/elementary school children age 4 and up. Galina is one of only a few guitar teachers in Greater Vancouver who is Certified Suzuki Teacher. The program is based on Dr. Shinichi Suzuki philosophy and principals, and sets the standards of excellence at all the levels of learning. Parents work with the teacher to create an enjoyable learning environment and help the child to practice right at home. Group class plays a key role in Suzuki programs, and is a distinctive feature of Suzuki pedagogy as compared to traditional music teaching. Galina's students have been among winners of Richmond Music Festival, Kiwanis Music Festival, Provincial Music Festival, Little Mozart Competition as well as recipients of RCM Gold Medal. They perform at the Vancouver Classic Guitar Society Student Concerts as well as at semiannual Galina's Guitar Studio Concerts. For those who wish to obtain RCM certification, Galina's studio provides training for graded RCM examinations.